The Next Decade Strategic Plan and Community Impact Goals will be announced in 2016. A major part of developing our community impact goals has been getting feedback from the community, staff, and board members. We are nearing the end of this phase of the planning process. We are at a point at which we must start to look at the information we have gathered and see what the trends and themes are from these various groups. We used different methods to gather the information, so in some instances the questions were a little different. We also asked each group several questions. In an effort to examine a manageable number of responses and those responses most relevant to our planning, we will look at those responses to the questions that had to do with aspirations for the community and library, or those that related to desired points of emphasis for the library. Below is an overview of the meetings, workshops, and the survey. The community survey was sent out in early 2014 to approximately 3,200 households that were representative of the population of Shawnee County. We received 844 completed surveys which was considered to be statistically significant by ETC, the company that conducted the survey. The question that seemed the most relevant to the community impact goals, and the most comparable to the aspirational questions in our meetings, was question number 12. Respondents were asked to what they considered the principal roles and services that they felt the library should emphasize in the next few years. They were given a list of pre-selected options and could choose up to four. Staff members were given $50,000 in play money to help prioritize library goals. They were given a list of initiatives and services and then allocated their money to those areas that they felt were most appropriate. If there was something left out, they were able to write down a new category for their money. Members of the Library Executive Board, Friends Board, Foundation Board, and Teen Advisory Board met in the summer of 2014 to help brainstorm and create the Community Impact Goals. 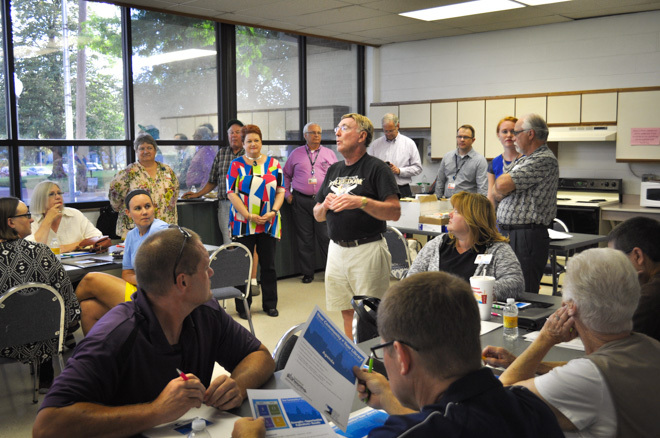 Attendees participated in various brainstorming activities, including a SOAR analysis. After brainstorming, each attendee selected the five aspirations that they felt were most important. Similar responses were combined into categories, and are represented in the graph below. All library staff members participated in small groups and participated in the SOAR exercise and then marked the Aspirations that they thought were most important to the library. We then compiled the answers and grouped similar answers together. Below is the list of most popular Aspirations from these sessions and some examples of the answers that fell under each of the top categories. 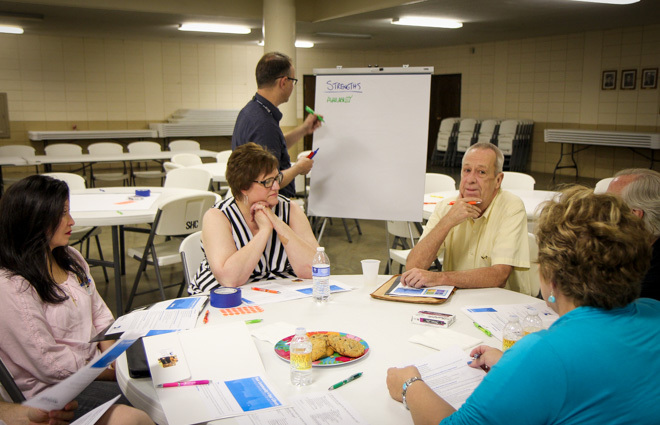 In the summer of 2015 we held community meetings at six different locations throughout Shawnee County. 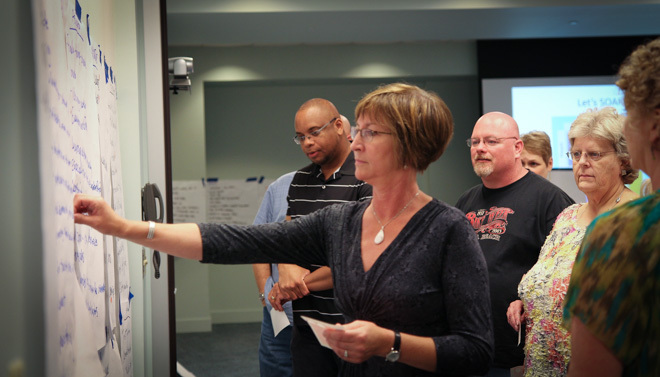 We had enough participants at four locations to have them break into groups and perform a SOAR analysis. They then marked the Aspirations that they felt were most important. In an effort to understand the top answers from the various meetings and survey, the top four answers from each were grouped together and given a point value based on their ranking.